We achieve our mission of breaking the intergenerational cycle of poverty, crime, and addiction through two unique programs for children of incarcerated parents in Rhode Island; The RISE Scholarship Program and The RISE Mentoring Program. Through increased educational opportunities and support from volunteer mentors, our programs have impacted the lives of hundreds of students since the program was founded in 1997. 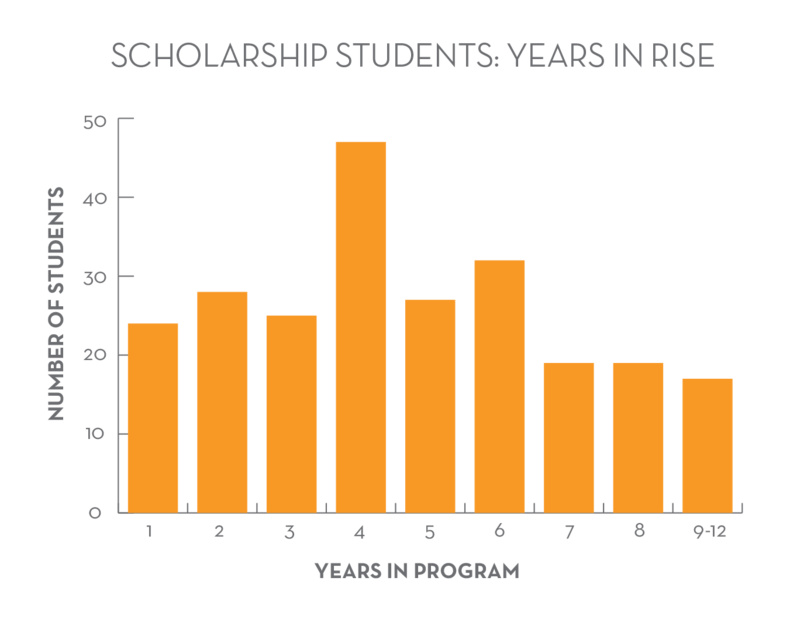 The key measurement of success for The RISE Scholarship Program is graduation from high school. 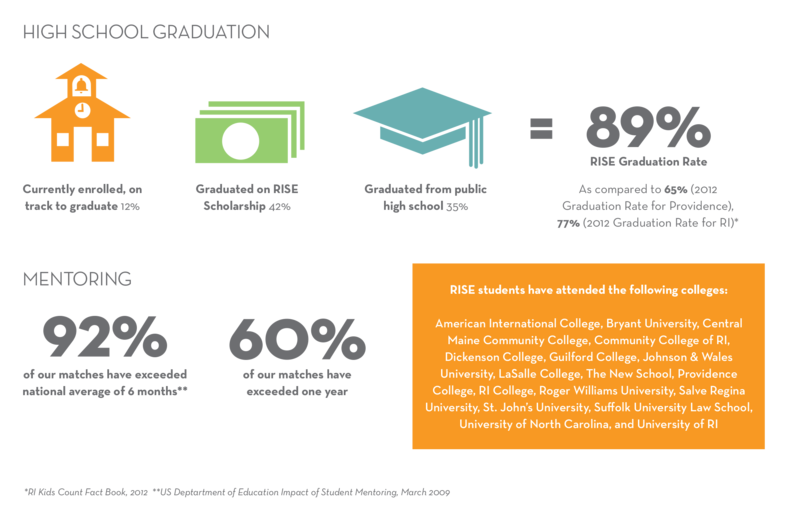 To date, 89% of our students have graduated high school well exceeding the state average and dramatically exceeding the norm for urban students in Rhode Island. For more details on our outcomes for the first 15 years please read our report here. The RISE Mentoring Program’s success is credited to the hundreds of dedicated mentors that have provided thousands of volunteer hours over the years. These individuals promote positive outcomes with our youth including improved self-esteem, improved academic achievement, social skills development, and knowledge of career opportunities.